This rose dates back well before the 15th century and is thought by rosarians to be the historical White Rose of York. The flowers are a milky white and fragrant on long arching wands, followed by rugosa-type hips as autumn advances. 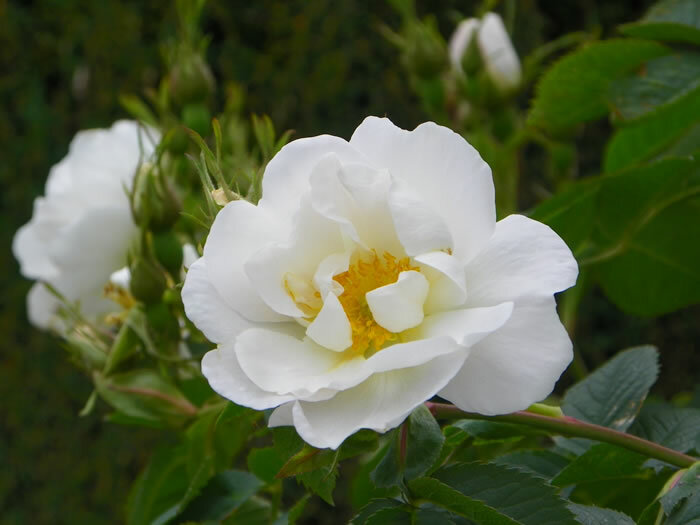 Rosa Alba Semi-Plena is a superlative shrub for difficult, dry or shady areas.